Boneless salmon fillet poached in white wine, served with classic dill sauce. Salmon marinated in lemon juice and spices, pan-seared with olive oil; and then braised with our Moroccan ragoût to perfection. 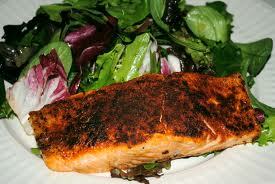 Salmon delicately seasoned, pan-seared and finished with white wine. Served with red onion and port wine confit with orange zest. 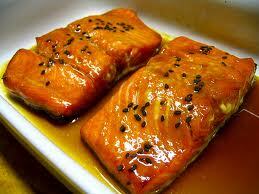 Salmon marinated in our homemade teriyaki, tenderly grilled and served with homemade oriental plum sauce. Salmon crusted with walnuts, pan seared and slow roasted served with a red onion, orange zest and port wine confit. Fresh Tilapia fillets stuffed with our special “seafood” stuffing; topped with Hollandaise Sauce and Provençale crust. 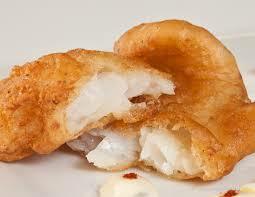 Homemade beer batter fried tilapia, served with Sauce Remoulade. Tilapia fillet crusted with Horseradish fresh herbs, shallots, garlic and panko then sautéed in “butter” and served with smoked tomato coulis. 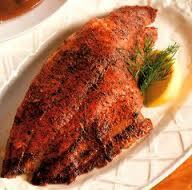 Tilapia coated in our homemade Cajun rub, tenderly blackened and served with homemade orange sauce. Sea Bass crusted with pecans and slow roasted served with a red onion, orange zest and port wine confit. 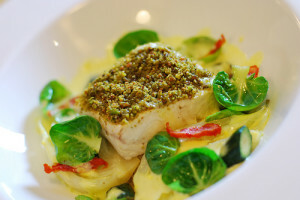 Sea bass marinated with a citrus emulsion; then grilled and served with an orange brandy glaze.